Welcome to our BOOSTER CLUB page! Here, you will find information about how to join, costs and benefits to you and your athlete, and activities the BOOSTER CLUB has planned! Why join the Booster Club? 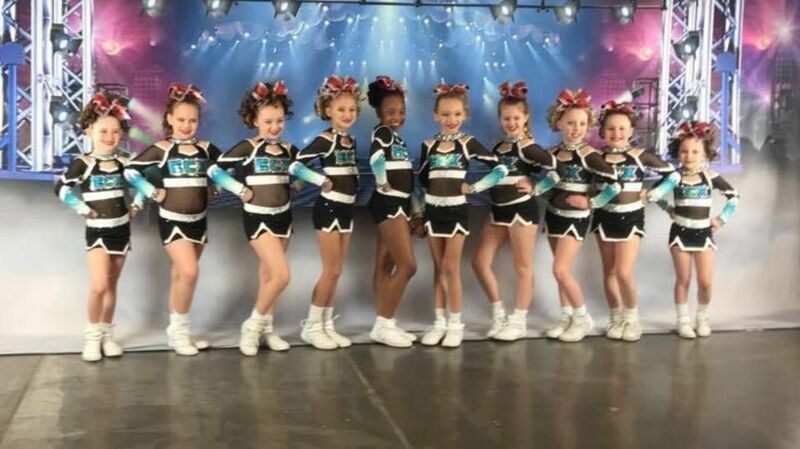 To name a few benefits - for your $40 membership fee, you will receive a Season 9 competition bow and scrunchie ($50 value), red Lipsense lipstick/gloss ($35 value) and complimentary athlete admission to the End of Season Banquet dinner ($40 ticket). 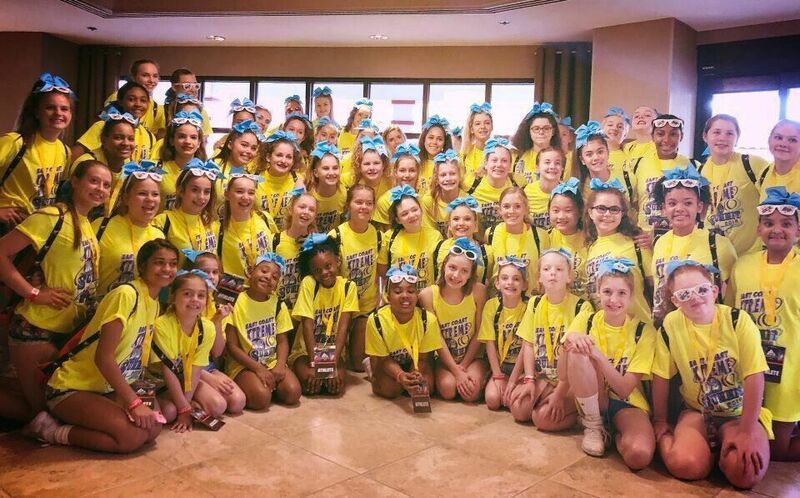 Booster Club members also are eligible to receive the US Finals/Summit/Worlds travel package (team bid required, details TBA). What are the requirements? Pay the $40 annual athlete membership fee, attend at least one (1) meeting each year, and participate in at least one (1) fundraiser. We welcome any kind of assistance you are willing to give in order to make this a great season for our athletes, parents and ECX as a whole. How do I join? Fill out the participation agreement and membership application (links below), and turn them in with your membership fee to the Booster Club box in the gym lobby. 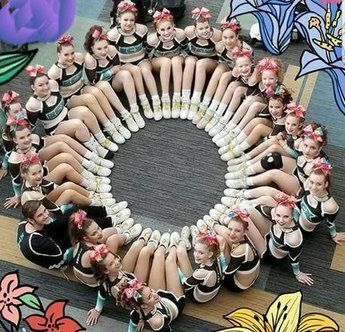 Membership fee and forms are required for each athlete, so multiple athletes in the same family require their own membership to receive individual benefits (e.g. bow, lip color, banquet ticket). Deadline to join is December 1st. 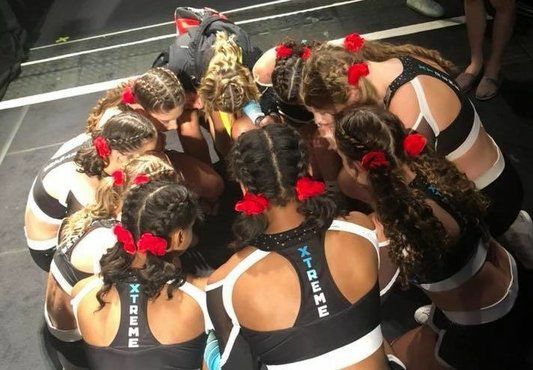 Just link your current Amazon account to East Coast Xtreme Cheer Booster Club - ECXCBC - with the link below. No extra charges or fees, simply purchase as normal , and Amazon will make a charitable contribution to our non-profit organization! Click here or bookmark this link to start every shopping trip: https://smile.amazon.com/ch/46-4022306. 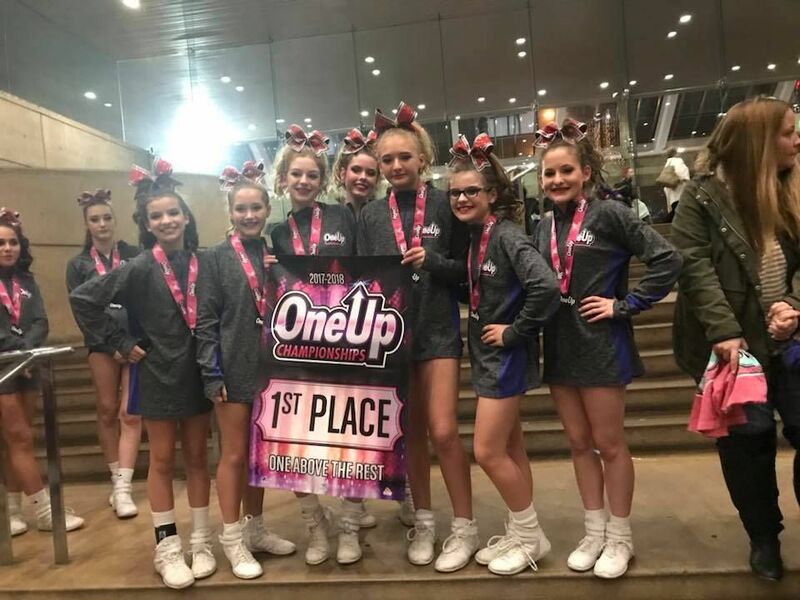 Kroger Marketplace Rewards - Your grocery list can earn dividends for our athletes in the store's Community Rewards program. Simply link your Kroger Card by visiting www.Kroger.com/CommunityRewards to enroll (organization #80269), and they'll automatically forward a percentage of all your quarterly purchases to our Booster Club's general fund. It's that easy! 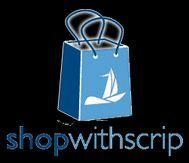 Shop with Scrip - Tired of selling stuff? 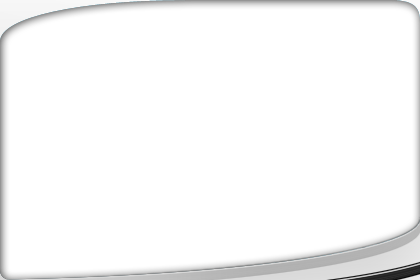 This fundraiser can save you time and money every single day without selling anything! Simply change the way you pay for daily expenses like groceries, dining out, gas and more to gift cards instead of using cash, checks or credit cards. The gift cards are issued by and accepted at more than 750 national retailers with a rebate returned to our gym every time you purchase! Get all the details at www.ShopWithScrip.com and use our enrollment code (6D27B9L353547) to start saving today. 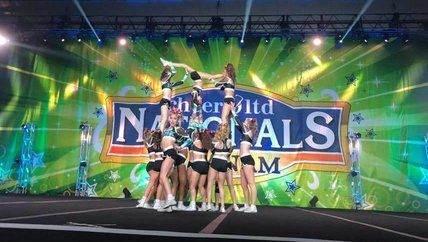 Spring Break Camp (April 15 - 18, 2019) - Recommended for athletes in grades 6 - 12, this four-day camp focuses on stunting, tumbling, dance and jumps. Cost is $125 per athlete. Details will be available in early March 2019. 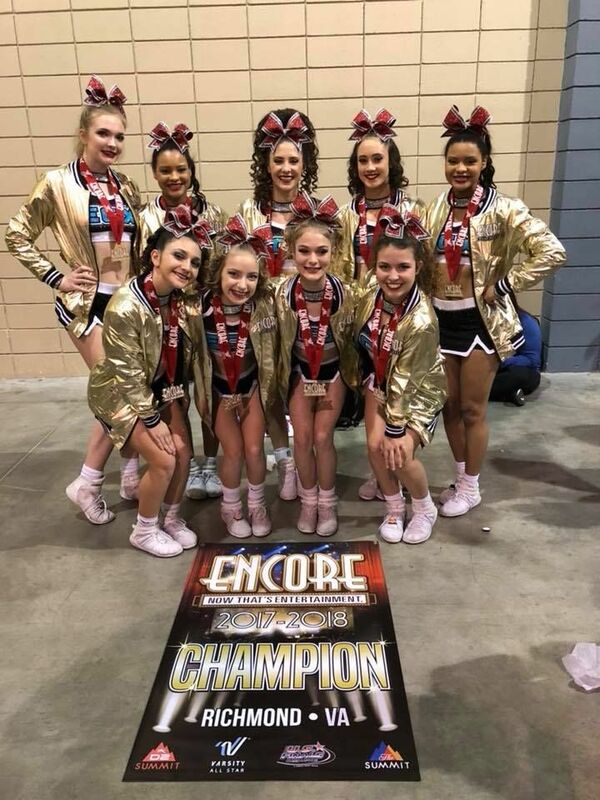 Middle School Prep Clinic (May 18, 22 & 23, 2019) - This clinic is designed specifically for athletes who want to hone skills ahead of middle school cheer team tryouts. 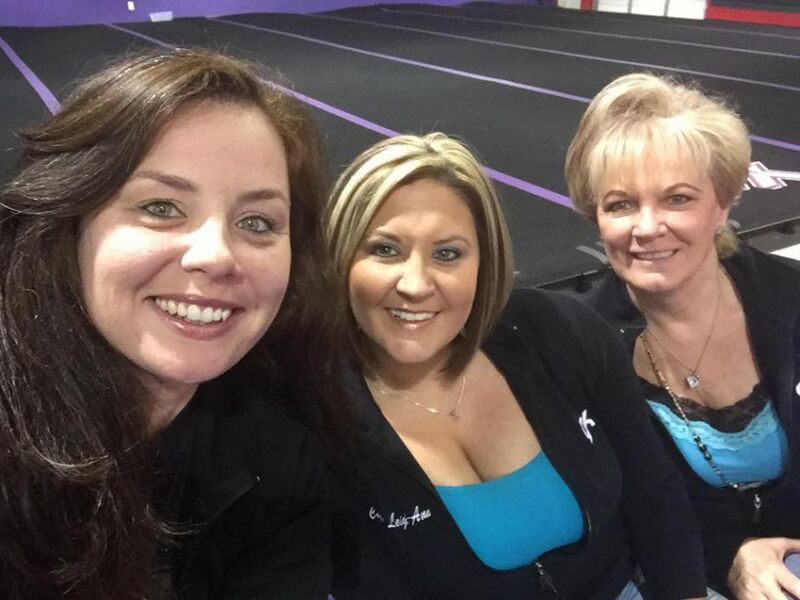 Attend one day or all three to work on tumbling, stunting, jumps, motions, chants and dance. Cost is $150 for all three days, $75 for Saturday or $45 per day on Tuesday/Wednesday. Registration information will be available in early April 2019. 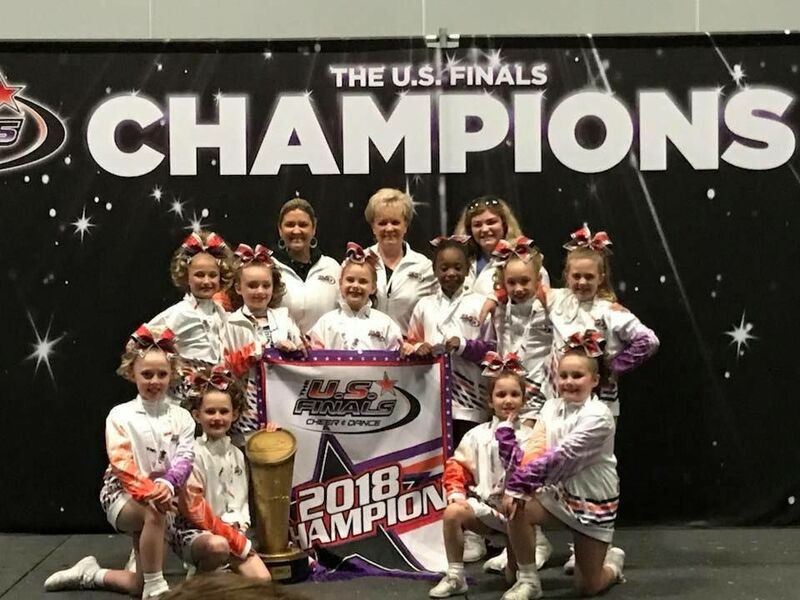 All-Star Summer Camp (June 17 - 20 and July 15 - 18, 2019) - Avoid the summer slide at the gym with our all-star competition cheer camps! 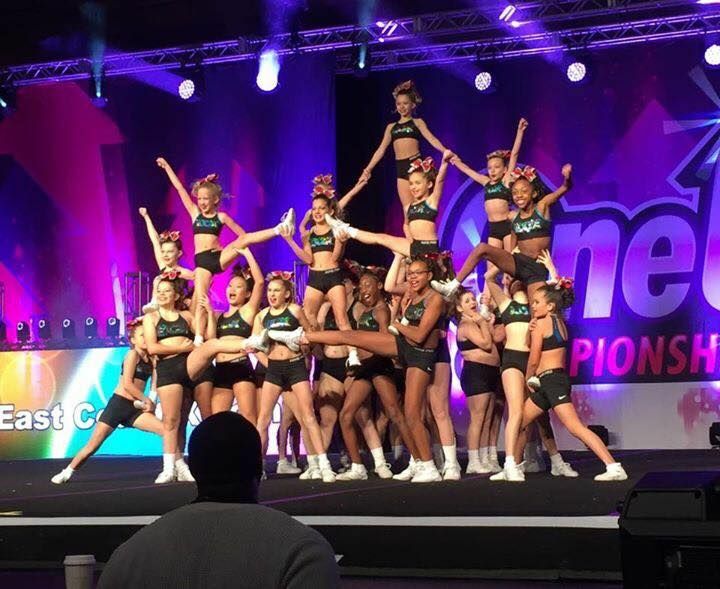 Spend four days at our award-winning gym perfecting stunts, tumbling, jumps and dance moves. Cost is $125 per athlete with a $20 discount offered when athletes enroll for both weeks. Recommended for athletes rising to grades 6 - 12.